Suppressing smoking thoughts has been shown to result in elevated smoking. However, the effect of suppressing smoking thoughts on desire to smoke and withdrawal symptoms has not been investigated. We examined the effects of suppressing smoking thoughts on the subsequent desire to smoke and on tobacco withdrawal symptoms, relative to groups that were either thinking about anything they wished or actively thinking about smoking. A randomised experimental study compared the effects of three manipulations (suppressed smoking thoughts, expressed smoking thoughts and thoughts of anything they wished) on desire and withdrawal immediately after the manipulation and 5 and 10 min after. Suppressing smoking thoughts did not result in elevated subsequent desire to smoke, relative to the other manipulations. Suppressing smoking thoughts resulted in a significant elevation in hunger ratings, relative to the other manipulations, at all measurement times. There were no significant effects for the other withdrawal symptoms. Self-reported greater use of thought suppression in everyday life was significantly associated with greater desire to smoke at baseline and was associated with lower mindfulness scores. 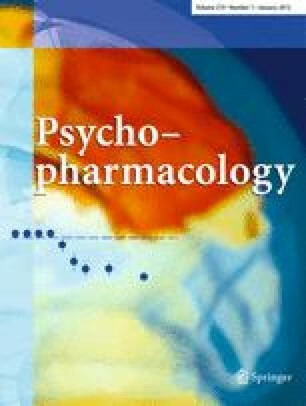 Laboratory-instructed suppression of smoking thoughts is associated with increased reports of hunger but did not lead to increases in other withdrawal symptoms or elevated desire to smoke. Reports of everyday use of thought suppression are associated with elevated desire to smoke at baseline. Further investigations need to assess the effect of suppressing smoking cravings, instead of general smoking thoughts, on desire to smoke and tobacco withdrawal.